Boniface, I have a scriptural difficulty that I hope you'll address: what exactly does St. Paul mean when he says: "But women will be saved through childbearing—if they continue in faith, love and holiness with propriety" (1 Tim. 2:15, NIV). How does the Church understand this verse? The primary meaning of save in Greek is to be kept safe and sound, to save someone from injury, to restore someone to health, and to keep someone from perishing. This interpretation is consistent with Paul’s theology, that if we trust the Lord, He will keep us safe when we go through calamities. Paul’s concept of salvation is much broader than ours—we tend to think of Jesus saving us from hellfire and leaving us alone to fight office politics, natural disasters, health problems, and other difficulties by ourselves. But Paul saw Jesus as saving us through all things, even if they cause our death.... Paul is instructing Timothy to reassure the women in his congregation who are anxious about the prospect of giving birth. This interpretation is completely consistent with Paul’s theology and his pastoral technique of reassuring people. So I think we have to go with this one. Paul says that a woman who trusts Jesus will be kept safe through the perils of childbirth. She shall be saved by bearing children, &c. and performing other duties of a wife, with a due submission to her husband, taking care to serve God, and bring up her children in the faith of Christ, in piety, &c. --- This would perhaps be more properly rendered, from the Greek, by the bringing up of her children in faith, charity, and holiness. This is the duty of the woman; upon the faithful discharge or neglect of which she must expect her salvation, or reprobation, to hang. Thus repairing the evil which the first of all women brought upon man, by seducing him to evil. As all died through one, because that one sinned, so the whole female race transgressed, because the woman was in the transgression. Let her not however grieve. God has given her no small consolation, that of childbearing. And if it be said that this is of , so is that also of nature; for not only that which is of nature has been granted, but also the bringing up of children. If they continue in faith and charity and holiness with sobriety ; that is, if after childbearing, they keep them in charity and purity. By these means they will have no small reward on their account, because they have trained up wrestlers for the service of Christ. By holiness he means good life, modesty, and sobriety (Homilies on First Timothy, 9). In this third installment we will be looking at some of the experiments cited by Andrew Pudewa in his talk "The Profound Effect of Music on Life," in which he asserts that rock music is harmful to the human person due to the presence of syncopated rhythms, which he says have a negative effect on the human body. It is important to note that Pudewa, like Fr. Nortz and many who make these arguments, state that the problem with rock music is in the beat of the music itself; thus rock music is universally condemned, even if it is Christian rock music written for the purpose of praising God. Overall, though Mr. Pudewa is not a scientist, his talk is much more scientific and reliable than the pseudo-science and unwarranted assumptions put forward by Fr. Basil Nortz, and overall Mr. Pudewa is very responsible and restrained in his statements. I also have to say that I have tremendous respect for Mr. Pudewa due to his work with getting kids to excel at writing and in the support he has given to the homeschooling movement. Be that as it may, I still think Mr. Pudewa's argument on the disordered nature of rock music fails in several important aspects. In this post, I will discuss the import of some tests done on rodents and their exposure to rock music, drawing on sources that Mr. Pudewa cites in his own presentation, as well as adding some from my own research. My purpose is to show that the arguments drawn from these experiments are inconclusive at best, false and fallacious at worst. Pudewa cites seven different studies in his talk. Unfortunately, one of his "studies" cited is the Dorothy Retallack experiment, which we have seen from last time to be unscientific, unrepeated and contradicted by mainstream scientists and by average persons who have attempted to repeat the experiment. In my previous post, botanist Dr. Ross Koning told me that the wilting of the Retallack plants, judging from the pictures, was most likely due to insufficient watering or excessive heat; in any case, "the conclusions drawn are not justified by the quality of information gathered," said Dr. Koning. In my opinion, we can reject the Retallack experiment out of hand. Next we have the Rauscher and Shaw experiment, in which we find that college students temporarily improved spatial-temporal IQ scores by 8-10 points after listening to Mozart, when compared with relaxation music and no music. This is followed up by a second Rauscher and Shaw experiment, in which we find that preschool children given six months of keyboard instruction increased spatial-temporal IQ scores by an average of 46% over other supplemental instruction (singing, computer, free play). These experiments are fascinating, but in my opinion, do not help Pudewa's case in the larger sense. Pudewa himself says that these cases are only cited as evidence that music, and musical training, have an effect on the brain. He cites these experiments at the beginning of his talk to make the point that music affects the human body, which I don't think anybody has ever disagreed with. The tests have no import on the question of rock music, however. In the first test, we see only that listening to Mozart can increase spatial-temporal IQ scores (compared to relaxation and no music). This proves only that Mozart is helpful to listen to, not that rock is positively damaging. In the second case, that of children who increased IQ scores by learning keyboard, we learn only that the cognitive functions involved in learning a musical instrument are helpful in developing a child's overall mental capacity, which again, nobody ever doubted. Everybody knows that it is beneficial to learn an instrument, but it says nothing about rock music or rock beats. This is not unlike the egg cooking story from Bob Larson cited by Fr. Nortz - even if the egg cooking story were true, it would only prove what everybody already knows: that standing close to extraordinarily loud noises is bad. These Rauscher and Shaw experiments only prove that classical music and the act of learning and instrument are helpful for a child's development, which is not in dispute. It would be as if we were to make the argument that slang English is bad and then go on to prove it by citing studies on how the study of foreign language improves IQ. It may be true, but it hasn't proved that slang is bad, only that study of foreign language is good. But again, Pudewa knows this and uses these experiments only to demonstrate that music effects living things, so I won't go on and on about this. For his argument to really take hold, he needs to show an experiment that demonstrates positive IQ drops or reversals in humans who have been exposed to rock (i.e., that show that rock makes you "dumber"). ; he needs an experiment that measures people's temporal-spatial IQ before listening to rock, and then a corresponding measurement that shows an appreciable drop afterward. Does he produce any such experiments? If any such experiments existed, they would add incalculable weight to the thesis that rock music beats are intrinsically bad. Mice exposed to Strauss waltzes showed increased and orderly neuron development, while those exposed to “disharmonic” non-synchronized drum beats showed erratic and pathological growth of neurons. Rats exposed to Mozart music from before birth to 60 days old were able to learn mazes over twice as fast as those with no music, whereas rats exposed to repetitive “minimalist” music were unable to navigate mazes at all. Mice exposed for 3 weeks to Mozart were able to run mazes significantly faster than mice with no music, and mice exposed to other forms of music--70’s, 50’s, 90’s and “heavy metal” all performed worse than the control group. I think these experiments merely confirm what we have already acknowledged - that classical music is the most mentally stimulating than less complex forms of music (and, in case you are wondering, it is the complexity inherent in classical music that makes it so stimulating to the brain. Theoretically, non-classical forms of music that featured similar types of complexity could be as stimulating). But does this prove that rock music is positively harmful, let alone Christian rock? In my opinion, this is a very subtle bait and switch, because as irrational creatures, rodents do not have an IQ per se. What we can measure is behavior, not real intelligence. Since the Rauscher and Shaw studies dealt with IQ, by switching to the rodent experiments, the implication is made that we are still dealing with the same issue: classical music makes kids smarter, now let's see how rodents are effected by rock music - with the implication that the rodents are "dumber" because of it. But these rodent experiments are looking at behavior, not IQ. Very well then, so it is behavior, but what accounts for the poor behavior of the heavy metal group of mice? I think it is another bait and switch, and I'll tell you why. In the Merrill experiment the rodents exposed to the heavy metal music did poorly - in fact, they actually killed each other - but this is irrelevant, because nobody is saying that heavy metal music is healthy. Nobody is talking about heavy metal music. I am defending Christian rock music, so I don't see how it is relevant to bring in secular heavy metal. One other fact that is much more important - in these experiments, the mice were exposed for 10 hours per day to their respective musical styles for weeks. Who listens to music ten hours a day? Of course anybody might feel like killing someone if locked in a cage and forced to listen to heavy metal for ten hours straight, but even I might feel murderous after listening to anything for ten hours, even Pachebel's Canon, the 1812 Overture or Mozart's Turkish March. I recall when watching Morgan Spurlock's documentary Supersize Me, I thought, "Interesting, but nobody really eats only McDonalds for thirty days straight, so this loses some of its import." Similarly, nobody really listens to music of any sort in lab conditions for ten hours a day over sixty days; if any person did do that I think they would go insane. While these experiments are interesting, and do say something about how music affects the behavior of irrational animals, I think it is a leap to say that human beings are so Pavlovian as to be so adversely affected by something as rudimentary as rhythm, which is ultimately nothing more than the timing of two objects banging together. Are we really that delicate? Aside from wondering how an observer can measure a "significant reduction" in something as immaterial as "caring", I immediately note that the results for classical music are not that much better; indeed, they are "inconclusive", according to the report. The report actually suggests that not classical, but "designer music" is best for "increasing positive feelings and decreasing negative feelings." In case you didn't know, designer music is music artificially designed to specifically produce certain emotions - think elevator music, various mood music CD's, selectively chosen Muzak compositions. According to the study, this music is best as producing positive feelings - and much of it contains syncopated rhythms. Now, if designer music has syncopated rhythms and ranked best, and "grunge", also including syncopated rhythms, ranked worst, could it be that something other than syncopation is to account for these discrepancies? At this point you are probably thinking, "Boniface, you are grasping for straws here. You have just acknowledged that the study says that rock music significantly increases hostility and depression, as well as another one in which mice exposed to rock did significantly worse than other mice. Even if we can't say that rock music is equivalently harmful to human beings, surely these studies suggest that it is in some degree harmful?" This was one of my beefs with all the mice experiments - people don't listen to music like that, in isolated lab settings. Music is something that people listen to while doing something else by and large, like driving, cooking, working, etc. The Penn State experiment thus sought to examine the effects of music on mood in the real world settings where music is actually listened to. So the researchers recruited 47 college students, including 25 music majors, and asked them to keep a diary for 14 days, noting the kinds of music they listened to. They were also asked to pick various moods from a list, showing their moods before, during and after listening to the music. The results were very different from those of the lab experiments with mice or of the McCraty experiment. When done on humans, and in real environments, the Penn State experiment found that the type of music was less important in determining mood than whether or not the listeners really liked whatever they were listening to; i.e., if the students like jazz, jazz made them feel relaxed and peaceful; if they were fans of rock or country, these genres had similar effects. The style of music was irrelevant. One form of music did very well across the board, however: rock. Rock, the music of choice, made just about all the students "optimistic, joyful, friendly, relaxed and calm," according to the findings. Got colleagues to download, using Facebook, the ten most frequent "favorite music" at every college via that college's Network Statistics page on Facebook. These ten "favorite musics" are perhaps indicative of the overall intellectual milieu of that college. Plot the average SAT of each "favorite music", discarding those with too few samples to have a reliable average. 1) Beethoven is way out in front, which is not too surprising (I know you can't see it because I couldn't fit the whole graph in the post - you can see the full size chart here). But, the next highest after Beethoven is the Christian-inspired Indie Rocker Sufjan Stephens, whose alternative and Indie rock most definitely make use of syncopation and have even been described as "electronica" and "minimalist." 2) Note that at the bottom of the SATs, furthest left along the X axis, we have Lil Wayne, Ludicris, T.I. and Jay-Z, all in the rap/hip-hop category, associated with the urban African American culture. 3) Beethoven is far out in the lead, by far the most musical groups that come closest to him are not classical but rock: Counting Crows, Radiohead, Guster, Ben Folds, The Shins, Phish, Norah Jones, The Killers, Death Cab For Cutie, etc. These are all rock bands that are considered somewhat independent and would be listened to by the nerdy college intelligensia. After looking at this chart, and noticing that (a) indie rock is at the front just behind Beethoven, and (b) rap is at the bottom, with (c) contemporary/classic rock in the middle, that perhaps this has more to do with culture, socio-economic status and one's peer groups than it does with what objectively makes you smarter or dumber? While it is evident that classical music, due to its complexity, is the most stimulating to the brain, and that mental processes are even more stimulated by learning an instrument, it does not therefore follow that the results of the tests in which rock music is blared to rodents ten hours a day for three weeks straight (in the rigorous scientific atmosphere a high school science fair, mind you) are transferable to humans. When similar experiments are carried out in real-life situations, with music being listened to casually as people really do, we find that the music that makes people the most optimistic is whatever style they happen to like the most. Furthermore, what style a person finds aesthetically pleasing has a lot to do with socio-economic status, culture and what peer group one identifies with. Therefore, those arguments which claim on the basis of the rodent studies to make any claim that rock music (Christian or otherwise) is always a positive evil irresponsibly oversimplify the case. I'm sorry to my normal readers if you find this topic horribly boring, but it is something I've been dealing with for a long time and I do think that somebody needs to try to clear it up. Next time I come back to this I am going to talk about syncopation itself and why the argument that syncopated rhythms in rock music are disordered or dangerous is fallacious and errant. 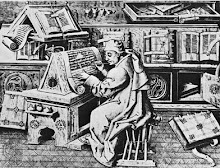 Last Fall I did a post over on Athanasius Contra Mundum entitled "Converts and Traditionalism," in which I posited the theory that Catholic converts from Protestantism bring to the Church a certain mentality that can make it difficult for them to accept Traditionalist arguments in favor of restoring a lot of the discarded "externals" of our faith's tradition. In the post I used myself as a reference point (being a revert to the faith from charismatic Protestantism) and explained how it took some time for me after my return to the Church to start seeing the beauty of Traditional Catholicism, and perceive that much had been lost by rejecting this beauty. The article was very controversial, as many accused me of labeling Protestant converts as second-class Catholics or saying that they were crypto-Protestants. Dave Armstrong even jumped on the bandwagon and did a rebuttal of the post over at his blog. It was never my intent to make these accusations against Protestant converts, and I do not believe I ever made these assertions. At any rate, I deny that a convert from Protestantism is not as "good' as a cradle Catholic; I did say (and I maintain) that a convert-from-Protestantism-mentality does color the way we see things once we return to the Church. It is interesting, however, that John Zmirak has recently said essentially the same thing in an article on Inside Catholic, which you can find in its entirety here. This is a pretty good article; Zmirak talks about the non-Trad confusion over apparent Trad fixation on "mere externals." This is, I think, one of the central ideas of Traditionalism - that alleged inessentials were not as inessential as once thought. He also draws an interesting parallel between Summorum Pontificum and the Emancipation Proclamation, saying that for the past few decades Trads lived under a liturgical "Jim Crow" situation. 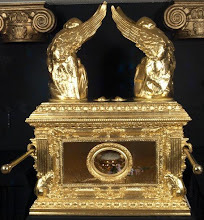 Like the good Mr. Shea, [Dale Ahlquist] is a convert, and he shared with Mark a puzzlement at the apparent fixation traditionalists have on restoring former elements of the liturgy and other Catholic practices that are not essential, and resisting innovations that are not inherently evil. 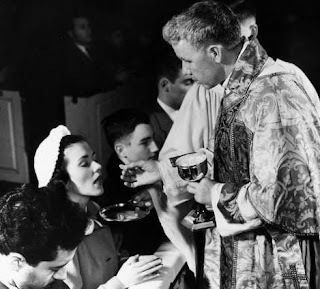 Having come from churches that didn't have the Eucharist, and remaining through God's grace flush with gratitude for the sacraments, many converts really don't understand what the rest of us are nattering on about. Notice that he specifically states that this non-Trad "puzzlement" on Traditionalist gripes is a direct result of converting from Protestantism - from "having come from churches that didn't have the Eucharist." I can't say I wholeheartedly agree with Zmirak in everything he says here; in my article, I merely posited that there was perhaps a connection. Zmirak takes this possibility and states it as a certainty. But I do use this example to point out that it is not that off the wall or judgmental to suggest that converts may have a difficult time initially getting to the crux of what Trads are all "upset" about. Zmirak is a relatively mainstream author, a loyal Catholic and one who adheres firmly to Vatican II; he is by no means a dissenter or one with a "quasi-schismatic mentality." Yet even he recognizes that converting from Protestantism can have an effect on the way one perceives the Traditionalist position. I will not cite anyone as examples of this except myself, remembering that it took years after my return to the Church (and years of study) to start to even understand the Traditionalist point of view, and to see that "mere externals" are not that "mere" and that sometimes an inessential is more essential than we think. I would certainly disavow any position that would assert that Protestant converts need to be suspect - and I think Zmirak would take this position as well. The writings of Mark Shea were influential in my own journey to the Church, and Dale Ahlquist has done some excellent work in keeping Chesterton in the place of prominence that he deserves. We are not at all talking about who is "better" Catholics, but about states of mind, and whether one's point of origin has an effect on one's state of mind, which I think is obviously so. And of course states of mind, opinions and beliefs about these things change over time. Trads ought never view themselves as "better" than any other Catholics, especially since the Scriptures warn us that the just man is barely saved (1 Pet. 4:18). Though there are different levels of merit, ultimately all of us get into heaven "by the skin of our teeth" in some sense. There is no room for arrogance. Then why bother even pointing out the differences? Because the Catholic Church as a whole - Trad, non-Trad, liberal, mainstream, whatever - is in an identity crisis. 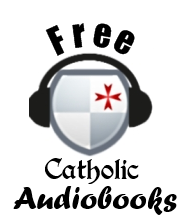 Who are we, and what does it mean to be Catholic? What does a Catholic life look like? These questions of identity;,far from being useless and divisive, are I think some of the most important issues Catholics can examine. I tend to take the position that Traditionalism exemplifies a more perfect continuity with the fullness of Tradition than other non-Trad manifestations of the faith, and part of what I do here is defend that proposition against those who take a more negative approach to Traditionalism. We may disagree on what Catholic identity should look like, but let's not say that these questions are not important; if only our fathers in the 1960's and 1970's had more of a concern for Catholic identity, we might not be in a liberal crisis. As long as we are still in the crisis, these sorts of questions will maintain their validity. I recall reading or hearing somewhere that Ash Wednesday and Palm Sunday are two of the Church's holidays that have the highest average Mass attendance, even greater than Christmas or Easter. What is the reason behind this? Because on these two days we "get" something; you get to walk away wish ashes on your head or palms in your hand. I remember with amusement a former secretary at our parish telling me how in the days leading up to Lent people would call and say, "When do we get ashes?" or before Easter, "What time to we come get palms?" The secretary would politely rephrase the question: "Oh, you mean what time is the Ash Wednesday Mass?" Ash Wednesday is ultimately not about getting anything but about giving something - giving up on our selfishness and sinful inclinations to embrace penance in preparation for the Holy Feast of Easter. 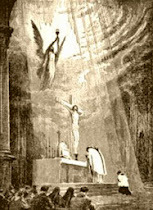 It is paradoxically the fact that when we come to Mass willing to give up our own will that we actually receive the most in graces from God. 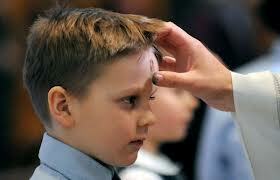 One very amusing Ash Wednesday story - this happened in Florida around 2000. I knew a girl who had just recently converted to Christianity (a generic, non-denominational Protestantism) and had moved from Michigan down to Florida to work for a time; I think she was around 20 years old. Anyhow, though she was ignorant of Catholicism or Catholic customs, she had a cursory knowledge of the Bible, a very humble heart and was a model of charity. So she was working in a shop down in Florida on Ash Wednesday. All the Cuban and Puerto Ricans would come into the shop with ashes on their heads, of course just going about their business as usual. At first the girl thought that it was just one or two who had dirt on their head, but throughout the day more and more people of every stripe came in, each with ashes on their forehead and each acting completely normal, apparently oblivious to the presence of the ashes. This girl, who truly knew nothing of the custom and was astonished, could not figure out why everybody had this ashen sign of the cross on their head. Eventually she recalled vaguely the words of the Book of Revelation, which tell us that before the time of the end God will "seal" His elect on their foreheads to protect them from the tribulations accompanying the punishment of the wicked at the end of the world. She quickly ran to the bathroom and looked in the mirror, where to her horror she saw that she did not have the mark. She tried to go back to her work but soon began sobbing, thinking that the end was upon her and that she had not been counted worthy to be sealed with the elect. Her manager came up to her, and upon hearing what was the matter, hugged and comforted this young girl, explaining to her the Catholic custom of receiving ashes on Ash Wednesday and assuring her that everything was fine. Not an Ash Wednesday passes that I don't recall this story, and it still moves me, thinking about a humble and simple girl weeping at the thought that she had been reprobated. Well, I hope you all have a blessed Ash Wednesday and a fruitful and penitential Lent! 1) That there is nothing wrong with the recreational use of Christian rock music. 2) That the theory that music is moral or immoral depending on its rhythm is based on pseudo-science and faulty premises. Please note that I am not advocating for the liturgical use of Christian rock, nor for the recreational use of secular rock (or other forms of secular music), but for the recreational use of Christian rock, based on the idea that, while some forms of music are more aesthetically pleasing than others, these disputes ultimately come down to aesthetics and taste, at least where recreational use is concerned. I would be making a whole different argument altogether were we talking about sacred music. Last time I stated that I would expose some of the pseudo-science behind the claims of Andrew Pudewa and Fr. Basil Nortz, who I have chosen to take as exemplary of those who oppose Christian rock because of its use of syncopation in the rhythm. What do I mean by "pseudo-science?" Both Mr. Pudewa and Fr. Nortz reference the ill effects of rock music on plants, using the story of Dorothy Retallack's experiments on plants as their source. The story is told of an experiment carried out in 1973 by Dorothy Retallack of Denver, Colorado in which one group of plants were exposed to rock music, another classical music, and one to a more mild form of rock. During the experiment, the plants exposed to the rock music began to turn away from the speakers - by the end of the experiment, those exposed to the rock music had actually died, while those exposed to the classical music flourished. This story is the foundation of many of the arguments against rock music, and its point is that music can affect living organisms. That music can affect us is not in question; everybody knows that music has an effect on the human person in some ways. But are the effects as profound as some would like us to believe? In the first place, if we look to the field of botany, we see that there has been no consensus on the issue due to the fact that Mrs. Retallack (who was not a botanist and appears to have had no scientific background whatsoever) did not carry out this experiment under controlled conditions. When succeeding botanists attempted to repeat the experiment, they were unable to gain the same results as Mrs. Retallack, suggesting that the results of her experiment were due to something other than rock beats. Plants have no ears to hear and no brain to process or develop musical taste or music appreciation...so any attempts to show relationships between music forms and growth or other responses have met with total failure in the hands of true scientists. This explains the lack of literature you find to read on the subject. But what about those few articles and books that do make such claims? Yes there are some quack "scientists" who have claimed that (in highly flawed experiments) certain kinds of music caused improvements in plant growth...but no such claims have met the rigor demanded for publication in respected journals. Such projects are often labeled "pseudoscience" because they fail to explain the control of critical variables, nor do they specify replication levels, nor do they show actual data or the results of statistical testing. I am preparing an essay attempting to rebuff the claim that certain styles of music are detrimental to the growth of plants. I am going to cite your 1994 statements on the matter, found online in the article "Science Projects on Music and Sound" [linked above]. I would appreciate any other insights you could provide - in particular, I am addressing in my essay the arguments of persons who claim that certain rhythms have a detrimental effect on the human body, and which cite the 1973 experiment of Dorothy Retallack of music on plants as an example to "prove" their hypothesis. Indeed I have not seen any information that changes my understanding of plant physiology in terms of any role for music in plant responses to environmental stimuli. Again, vibration is quite a different matter. The photos [from the Retallack experiment] clearly show wilted plants...which are common results of excessive temperature or insufficient watering. While "seeing is believing" for many people, what we do NOT see is data from their growth chamber's temperature monitoring equipment, or records about soil moisture in the pots that were photographed. We need such data because growth chambers of that era often had cooling system failures that led to catastrophic results unrelated to the variables in the contained experiment. For sonic separation, the controls in this experiment were in a separate chamber...so a failure in the treatment chamber would explain the observed results. Without monitored variables, we cannot know whether it happened that way or not. The watering was manual and a mistake in watering the plants in one chamber vs the other could also explain these photos. The conclusions drawn are not justified by the quality of information gathered. The fact that this experiment has never been repeated should also give us pause before citing this experiment as "proof" that rock beats can somehow damage our body, let alone force us to become sexualized. More scientific attempts to repeat Mrs. Retallack's experiment have even come to opposite conclusions: recent work by four University of North Carolina scientists indicates that 100 to 110 decibel noise (the equivalent of standing 100 feet from a 727 jet) will cause 100 percent more turnip seeds to germinate in 10 percent less time than with a control group. This suggests, of course, that a healthy jolt of industrial-strength heavy metal may be just the thing to invigorate your rutabagas (source). Another example: The Discovery Channel show, "Myth Busters" did a segment on this. They grew bean plants in different greenhouses. Some had silence, some had encouraging talk, some had discouraging talk and one had heavy metal rock blasted at them.E ven though the battery in the automatic watering system failed so all the plants basically died, the heavy metal rock house did the best by far before expiring. Go online and look up words like "Rock music kill plants" and you will see that many, many people have attempted to repeat the Retallack experiment and have actually found that the plants exposed to the loud music did better. One commentator on the Snopes.com forum remarked: "I tried a science experiment like that in high school. The plants I played heavy metal to flourished beautifully - far better than the other plants did." Another commonly repeated story is that eggs placed on the stage at rock concerts became hard boiled by the end of the concert. Fr. Nortz references this story in his talk, and I think Mr. Pudewa does as well, though I could be mistaken. The story is that, during the 1960's, concert goers would put eggs on the stage of a rock concert near the speakers; by the end of the concert, the egg would be hard boiled. This is particularly irresponsible of Fr. Nortz to say, since anyone who thinks about this for five minutes recognizes that decibels or rhythm have nothing to do with hard boiling an egg, which requires heat, not sound. Yet the story is repeated, both in Fr. Nortz's talk and by various Christian groups (like here) - as I said, I think Mr. Pudewa repeats this story, but I'm not certain. A recent teenage fad was that of taking soft eggs to rock concerts and placing them at the foot of the stage. Midway through the concert the eggs could be eaten hard-boiled as a result of the music. Amazingly few rock fans wondered what that same music might do to their bodies. Fr. Nortz quotes Larson's book throughout his talk, apparently granting it a great deal of authority. Who is this Bob Larson? Well, without going into too much detail, Larson was an evangelical preacher who gained popularity in the 1980's by performing exorcisms live on his radio show; click here to read the Wikipedia article on him in order to get a better idea of what kind of character this Larson is. Larson's claims have never been verified; is there any record of anybody actially performing this experiment under controlled conditions? Of course one cannot duplicate this story in any way, for an egg needs to be heated for it to become hard boiled, and amplifiers cannot and do not emit that kind of heat. Two points are interesting here: one, Larson long ago renounced his position on Christian rock and has since embraced it, recanting all of his previously held opinions and (presumably) the pseudo-science behind them; second, the "egg cooking" myth endures to this day in a slightly modified form, this time regarding cell-phones, and is regarded as a "technophobia" (the sort of urban legend that has us believe that the technology we use daily is secretly killing us). Basically, these plant and egg stories are urban legends, based on faulty science (Retallack), or on nothing at all (the egg story). This brings up one more point: even if the egg story was true, that eggs placed in front of speakers at rock concerts could become hard boiled, it would say nothing about whether or not rock music was intrinsically bad, only that listening to music at high decibels would be unhealthy. The fact that an egg could be cooked at a rock concert is no argument why rock music could not safely be listened to in one's car at a modest volume. This story, even if it were true, would only tell us what we all already know: it is stupid to listen too very loud noises and very close proximities. This is an example of how those who attack Christian rock and "syncopated rhythm" tend to set up a straw man by shifting the ground of the discussion to matters that are irrelevant or that everybody already agrees on. So much for the pseudo-science behind many of these warnings against Christian rock. Please understand that I am not endorsing "heavy metal" or any particular style of music; I am only pointing out some of the foolish things that people say in attempting to absolutize their tastes. Next time I will look at some more scientific experiments, this time on rats, and examine their implications. 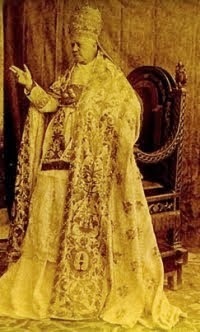 Has anyone been following this bizarre story out of Italy regarding a potential miracle for Pope Pius XII? I say bizarre because it involves another candidate for beatification: John Paul II. In 2005, a teacher of 31 years of age was expecting her third child in the city of Castellammare di Stabia. She began to have strong pains, which after many tests and a biopsy, signaled the presence of Burkitt's lymphoma. The condition is typified by swollen lymph nodes, often starting in the abdominal region, and the cancer can spread to bone marrow and spinal fluid. Not only was her health in danger, but that of her unborn child was also threatened. 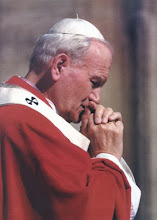 The woman's husband first prayed for the intercession Pope John Paul II, who was then only recently buried in the crypt of St. Peter's. It wasn't long before the Holy Father appeared to the woman's husband in a dream. The spouse described to Tornielli what he saw that night, "He had a serious face. He said to me, 'I can't do anything, you must pray to this other priest...' He showed me the image of a thin, tall, lean priest. I didn't recognize him; I didn't know who he might be." 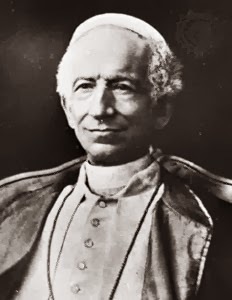 Several days passed before he, "by chance," came across a picture of Pope Pius XII in a magazine and recognized him as the man John Paul II had shown him in the dream. 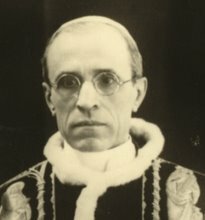 The man wasted no time in bombarding Pius XII with prayers for his wife's healing and following her very first treatments she was declared free of the cancer, the tumor had disappeared. In fact, she was cured so quickly that her doctors pondered the notion that they may have originally misdiagnosed the pathology. This is a truly amazing story. If it is true, I don't know how it will affect the Cause for John Paul II - I'm assuming not in a positive way. 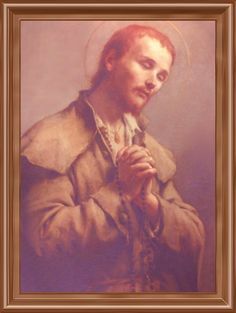 Usually in Catholic history, when one appears in a vision with a "serious face" and says they are incapable of doing anything, it means they are in Purgatory. Does John Paul's instructions for the woman to pray to Pius XII instead suggest that John Paul II would rather see Pius XII raised to the altars in place of himself?